Brute is a limited edition wine, grown organically in Hamburg and crafted by the wild forces of the Hanseatic climate. Our wine is crafted by the brutal Hanseatic elements and so is this website. This simulation is powered by the real-time weather data collected at our vineyard just outside Hamburg. Hamburg must be the last place on earth to grow wine. But, that’s exactly what we do. Embrace the gales, hale storms & storm surges. Whatever the Hanseatic climate can throw at us. To craft a wine like none before. Leon Zijlstra and Jörn Andresen are the brave pioneers and makers of Brute. 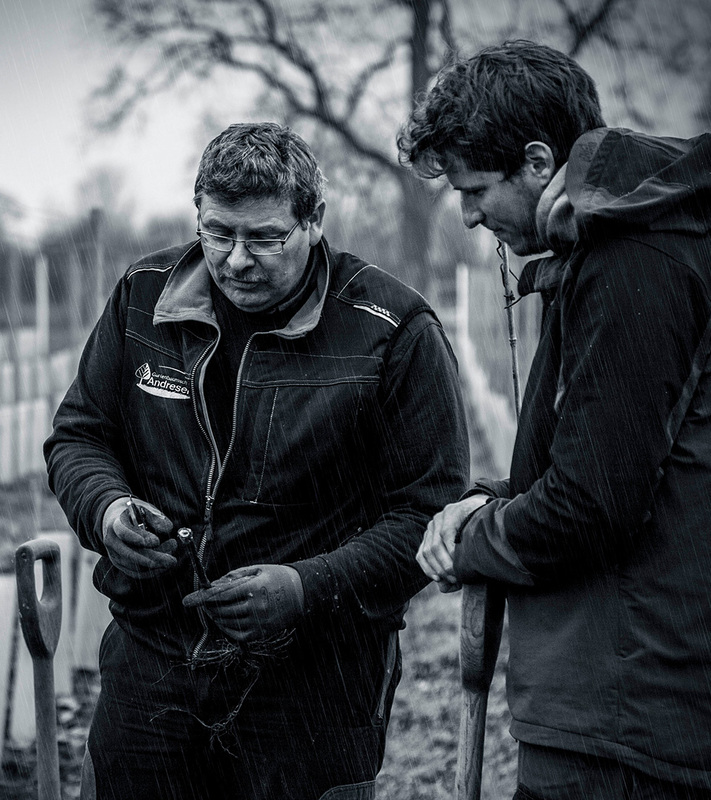 Together they combine 30 years of wine-growing experience and expertise as well as the necessary amount of madness it takes to craft a wine in cold, wet, windy Hamburg — of all places in the world. Brute is produced as a highly exclusive, limited edition wine, featuring a blend of only our most resilient grapes. Therefore, enthusiasts may purchase it in-person at our vineyard 30 minutes from Hamburg city center. Alternatively, contact us directly for more information.